Can you believe it's October 1st? I'm sort of dying over it. Maybe it's because it was almost 90 degrees here in Utah yesterday, it still feels like summer to me! Anyway, here are some articles from around the web that I liked this week. Marble Please on Flourish Design + Style. Before & After: My Kitchen Reno on Marcus Design. She did white cabinets with black granite countertops and white subway tile. It turned out great. Such a beautiful home, I especially love the kitchen. 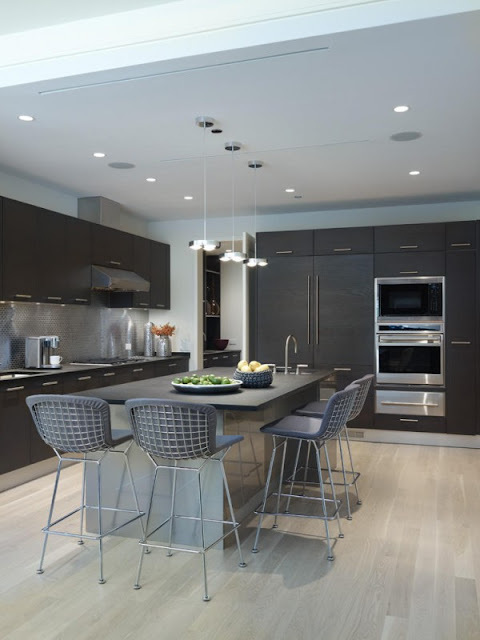 Luxurious & Modern Downtown Chicago Retreat on Design Shuffle.